Don't worry about the upcoming recession - you'll be buying more gadgets than ever, if research company Futuresource Consulting is to be believed. It predicts that despite the arrival of a global economic slowdown, job losses, house price collapse and the four Horsemen of the Apocalypse, sales of consumer electronics might actually increase in the years ahead. "Much of it hinges around the 'staycation' attitude," says Futuresource director Sarah Carroll, "Rather than going on holiday, consumers see the purchase of new electronics items as a far better value-for-money option." Carroll continues, "Our research from the economic slump of 2001 reveals digital cameras and DVD players continued to grow sharply when the economy stagnated, giving us a clear indication that home entertainment can ride the storm." "Stretching the timeline backwards further, during the recession of the early 1980s, sales of VCRs rocketed, growing by 440% between 1980 and 1983." Carroll reckons that key products will buck the downward trends with increased sales: " Flat panel growth is expected to continue into 2009 and beyond. 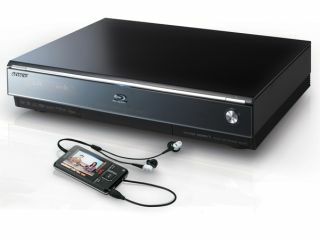 We also think Blu-ray player shipments to Europe's top 5 markets (France, Germany, Italy, Spain and UK) will more than triple between 2008 and 2009."